A group of local artists are getting crafty for Christmas this weekend in Portaferry. For two days only, the town’s Tourist Information and Visitor Centre, which is normally closed over the winter months, will become a crafts centre, showcasing the unique work of artists and craftspeople from Portaferry and the wider Ards Peninsula. “Something unique and handcrafted makes a Christmas gift or any gift all the more special,” says Heather Parker, Craft Development Manager of Ards Borough Council “And that’s what will be on offer this weekend”. A selection of local souvenirs, books and prints will also be available, with complimentary mulled wine for the adults and face painting and craft activities for kids. The Christmas Craft Fayre takes place this Saturday 24 November to and Sunday 25 November at Portaferry Tourist Information and Visitor Centre, between 10am and 5pm. 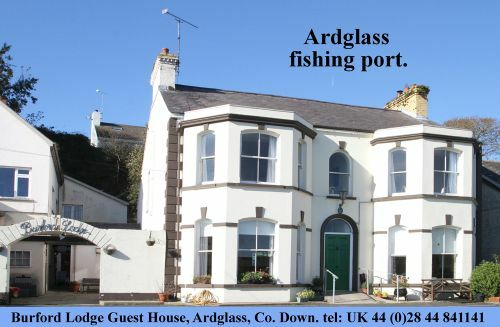 For further information contact Ards Tourist Information Centre, Tel: 028 9182 6846.